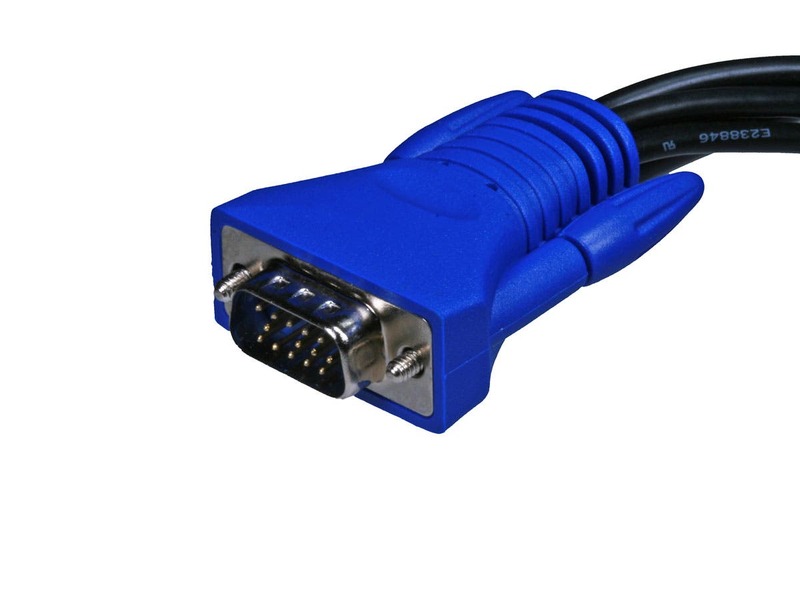 What is the maximum length for the cables- I ran a 25 foot cable to the KVM and it would not recognize either PS/2 or USB mouse. The keyboard seems to work OK. Also when I shortened the cable to get the mousse to work about 15 FT, the scroll wheel did not work. When I used a 6 FT cable all worked fine. I have 8 servers in a controlled area that is 20 feet from the managers console.. Do you have any advise to solve this ? 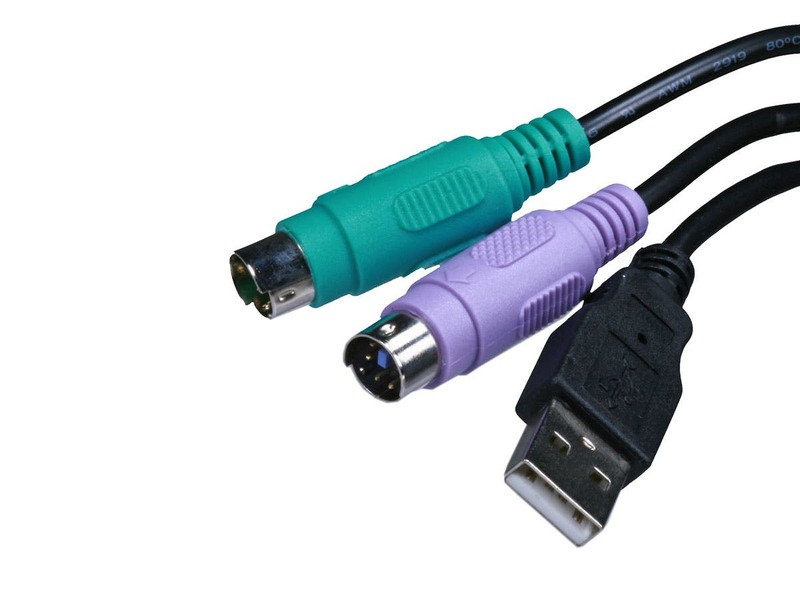 BEST ANSWER: Hi, it's tough to troubleshoot without details about your cable and peripherals. But an ordinary 25 foot cable exceeds the recommended 5 meter length for USB 2.0 passive cables and could cause the issues you described. Even going down to 15ft could still cause problems since your mouse adds a few more feet of cable. 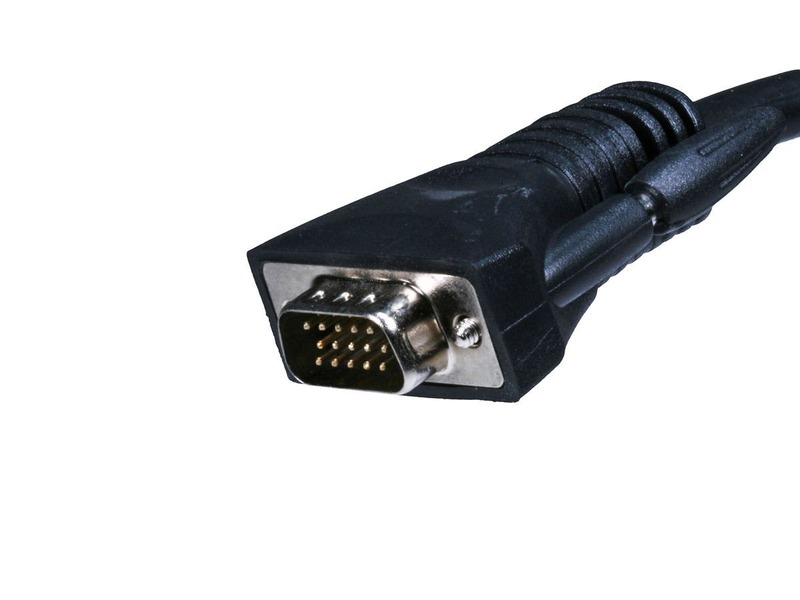 If you need the extra length, best bet would be to use an active cable like Product 8489, or 8751. Works so well that we are going to get 2 more. 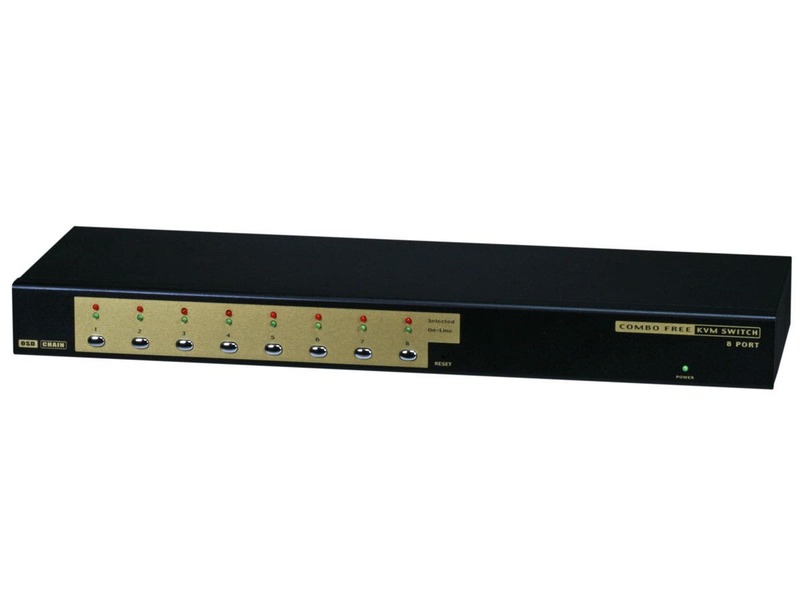 The 8 port KVM works great just like it its supposed to, It is replacing a 4port KVM that was 18 years old. I also like the fact that the KVM Came with the Cables as well. Can't beat it for the price. Quality is there just like all the other monoprice products I have purchased in the past. Keep up the good work. 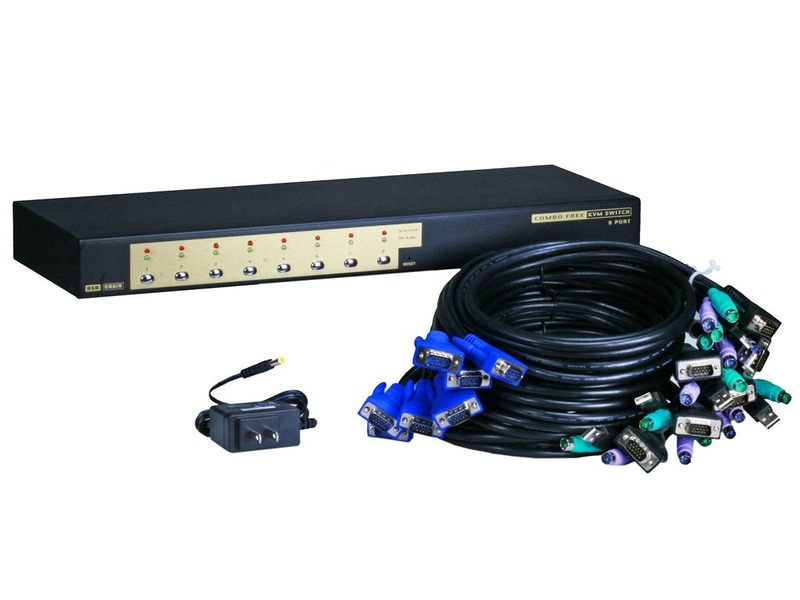 Have used this KVM in the past with excellent results. Just purchased my fourth. Would recommend this to whoever needs a universal KVM that actually works. 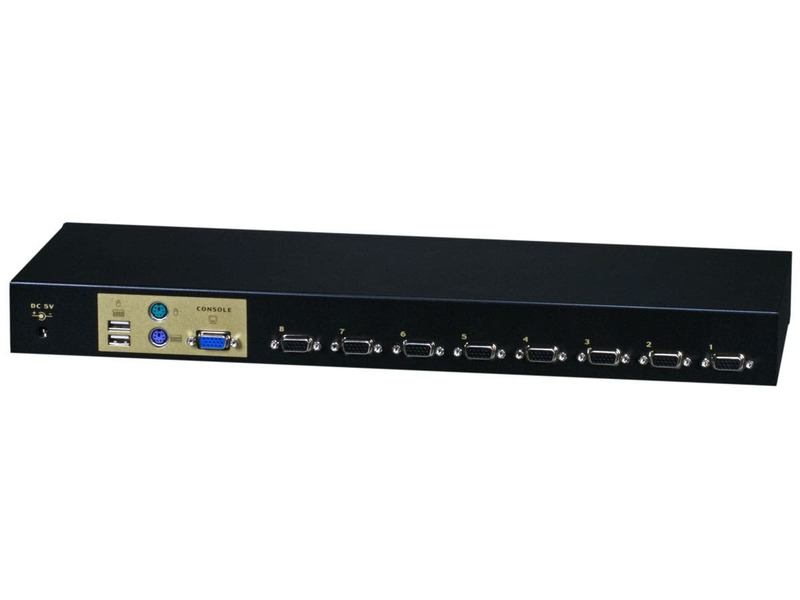 8 Port KVM Switch works great. Came with a 5V dc power supply and eight 6' cables. Needed one cable to be longer than 6'. See the other reviews saying they need a longer cable and where to buy them. I used a 6' extension USB cable and VGA cable to add onto the 6' cable that comes with it. It works just fine like this. About $13 for both cables. The front is now grey unlike the pic that shows gold. Big plus as I was almost not going to buy it because of the gold. It also has a USB slot for firmware update not shown in pictures. Looks to be the exact same unit as a Syba SY-KVM50083 but for less money, slightly different decals, and that one doesn't include 8 cables. Same packaging and power supply also. Works with my Supermicro server, CCTV DVR, and a Dell optiplex 3010 just fine. Will need a keyboard with scroll lock key initially to enter the menu but the hotkey can be changed to num lock or caps lock. Thanks Monoprice for selling a good product at a great price! There was just one minor issue when connecting the eight computers to this. A server running Windows Server 2008 Standard keeps giving an error message that the driver for the device was found, but failed to load. I think this is more of a security setting problem with the OS more than anything else. The other 7 computers are working fine off of it. This KVM is cheap and easily rackmounts. The KVM has separate, DEDICATED USB ports, one for keyboard, one for mouse. This is good if you are using separate devices, but we have a IBM rackmount console with a combination keyboard/trackball/trackpoint device that has a single USB cord. This KVM does not work with the combo pointer/keyboard device. I have also had issues with the KVM recognizing some keyboards and mice which have additional nonstandard buttons on them. Arrived in a timely manor and works great! PROS: Works great and is a good value. No replacement cable? Are you joking? Bought this to use in my work as an IT. 4 cables missing. I tried to buy additional cable, but they don't have it. Then the rep said that they are the manufacturer of this unit. Ok, so, they are the manufacturer, but they are not selling any replacement cable. Cascading capability makes this switch a beast. This was my second of these units and it replaced another brand which kept dropping connections requiring constant resets. Since installing the Monoprice unit I have not reset once. It just works.